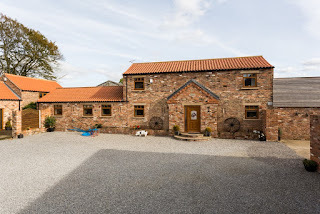 Street Farm Cottages in Stamford Bridge York offers luxurious self catering accommodation in 3 wonderful cottages. Located on a 400 acre working arable farm, they are ideal for an unforgettable rural retreat in East Yorkshire. The magnificent cottages are tasteful barn conversions which are set around a charming gravelled courtyard. Each cottage has an outdoor area with decking, private hot tub and patio furniture. 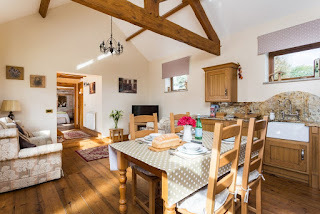 All of the cottages contain a range of high quality facilities including a complimentary welcome pack, towels and bed linen, toiletries & free WI-FI. Stamford Bridge is rich in history famous, for the ‘The Battle of Stamford Bridge’ which took place in 1066. The historic city of York is nearby and has a number of famous attractions. York Minster is the largest medieval cathedral in Northern Europe. The Yorkshire Museum and York City Art Gallery are fascinating places to visit. Rowntree Park has beautiful gardens, tennis and basketball courts and mini golf. Children can have a fun filled day at York Maze. Created from over one million living, growing maize plants, York Maze comes with over 20 different rides, attractions and shows to enjoy.